Summertime means getting people together. Friends. Family. Neighbors. Kiddos. 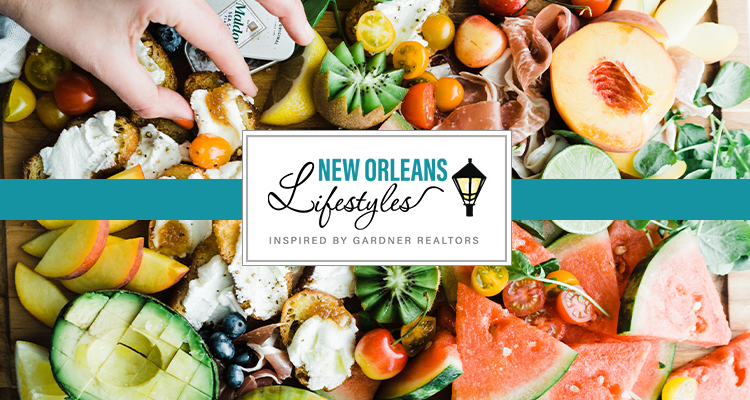 Whether it’s grilling in the backyard or cannonballing into the pool, the summer sun is one of our favorite times to gather those we love the most. But (and this is probably especially true of us Southerners), hosting isn’t for the faint of heart. Have you ever hosted a party and your “exhaustion” levels far outweighed your “fun” levels? From serving to cleaning up, the host with the most often equates to the most responsibility, worry and stress. Let’s change that! 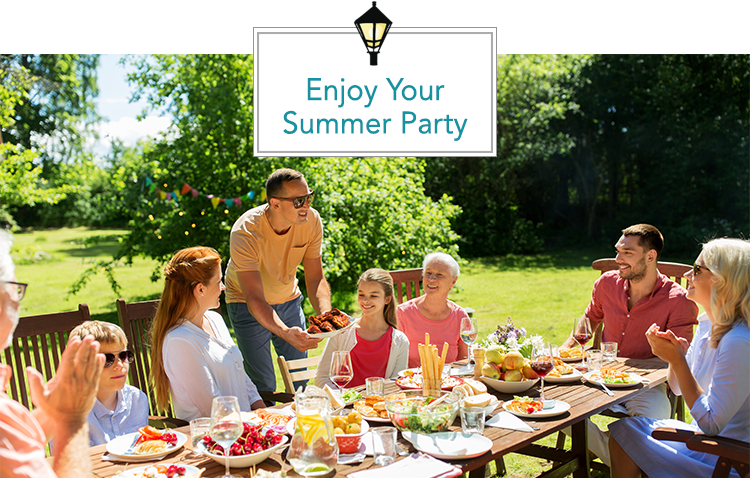 The point of a party is to have fun with those you invited, and you can do just that with our tips on how to enjoy your own summer party! It’s Hot! Okay, this one is actually two-part. One, as we mentioned, it’s hot. Make sure you have shade and fans to keep your guests cool. But for your sake as a host, temperatures are key when it also comes to the food you serve. Your life will be much easier with foods that require the same temps. For instance, we know that the grill is a summertime favorite, but it’s much more difficult if you’re trying to time up your cooking times. Go simple with finger foods like sandwiches and dips that can be served cold and ready to go! Less is More! When it comes to your duties, this is certainly true. The truth is, the lofty party expectations are probably mostly in your own head. Everyone, including you, obviously want the party to be amazing, but no one expects you do to everything to make that happen! You’re not a waiter, and your guests know that. So, make your life easier by setting up self-serve stations. From cocktails and appetizers to the main course and dessert, the less you have to do the better. Have the drink and food options laid out on tables along with their appropriate cups and plates (don’t forget the ice), and then let your guests have at it! The Dip’s Empty! Again, this is all about making your life easy so you can relax and have fun. We hope your guests love all the delicious food and drinks, and there will soon be a need for refills. This, as a host, is your responsibility. But, you can make this process much easier and more efficient if you have these extras on hand nearby. Whether it’s an extra cooler full of ice, an extra bottle wine or just a few more crackers for your sausage and cheese plate, have space nearby where you can quickly refill whatever is needed and keep the party movin’ and groovin’! It’s Your Party! At the end of the day (or night, because we know your party will be going for hours! ), this party is about enjoying time with loved ones. You can’t do that if you’re running around like a stressed out chicken with its head cut off! The party’s vibe goes as your vibe goes. So, you need to be relaxed and ready to have fun with your guests. An easy way to do this is to be as prepared as possible. Get everything ready early; the food, the drinks; the decorations, everything well before your guests arrive. That way, when they do arrive, you can lead by example, with a plate (and a drink) in hand!